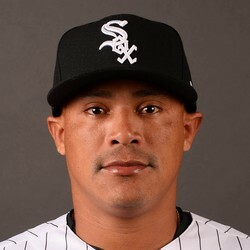 Newly acquired Everth Cabrera had his finest game of the spring with a solo homer and a triple. The former Padre drove in two runs and also stole a base as the O's tied Pittsburgh in 10 innings. The newest Oriole addition flew under the radar but has an excellent opportunity for significant playing time in April with the absence of JJ Hardy. Cabrera is an All-Star caliber player with exceptional speed, 99 steals since 2012, and occasional pop in his bat, six out of his 15 hits this spring are for extra bases. For now, stay away from Cabrera unless you're in an early pinch with middle infielders. His situation could change if the Hardy injury gets worse or his rehab is delayed.